Before the Under-2s programme was announced, only a few Eipic centres such as Awwa required parents to be involved in intervention for children under two. One of them, Mr Zulfadhli Abdul Rahman, 33, said he has seen vast improvements in his 23-month old son, who has Down syndrome, as a result. "The changes we see in Haziq are very drastic when we apply what we learnt at the programme," said the civil servant. "We need to keep practising what the therapists teach us at home." 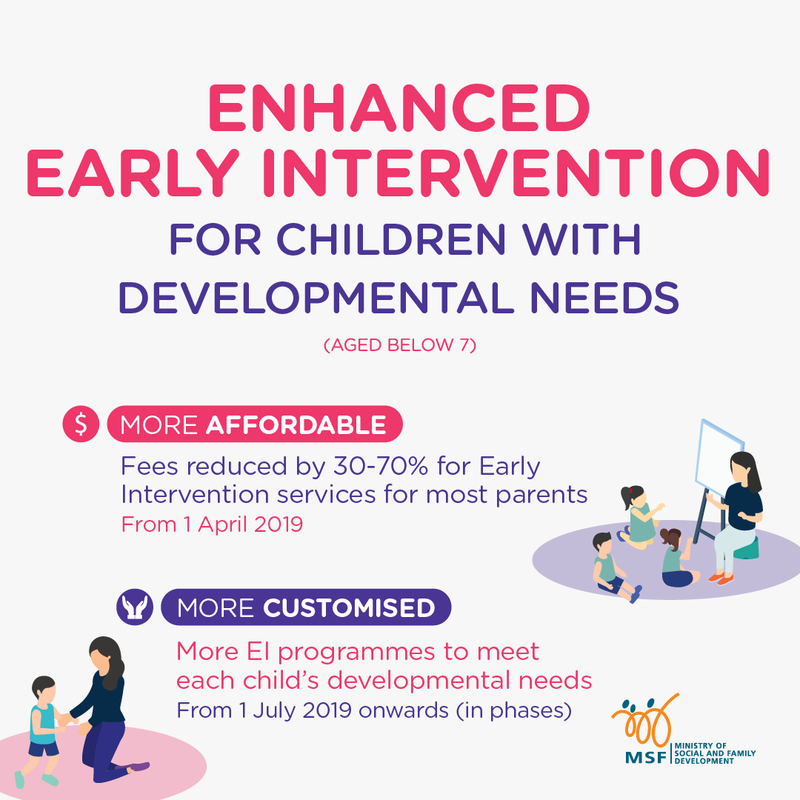 Under the new Development Support Plus (DS-Plus) programme, children with mild to moderate developmental needs will get to go to a mainstream pre-school, while receiving support at the school. Currently, they stay at an Eipic centre until they move on to primary or special education schools. Ms Tan Peng Chian, deputy director of Children and Youth Disability at Awwa, said the DS-Plus programme will challenge children to develop their potential in a mainstream preschool setting. MSF said a pilot programme involving 700 children from the Thye Hua Kwan Ang Mo Kio, AWWA Hougang and SPD Jurong East's EI centres showed that those in the DS-Plus programme had the same or better outcomes than a comparison group of children. 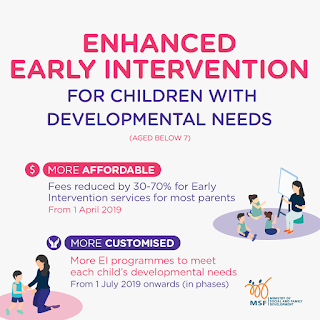 The Eipic Under-2s and DS-Plus programmes will be rolled out in phases, with the EI centres in Awwa, SPD, Thye Hua Kwan and Rainbow Centre providing these services in July this year. The Cerebral Palsy Alliance Singapore will implement the new programmes in the fourth quarter of this year, while the rest of the EI centres will roll them out by 2021.